Since the beginning of the “Sequester” cuts on March 1st, the Obama administration has been doing its best to punish the American people; eliminating White House tours, closing small airports, releasing criminal illegal immigrants back onto the streets are just some of the examples of the President purposely making cuts that will have the biggest public effect on voters. That way he can spend 2014 blaming the GOP for the cuts. Now we learn Homeland Security is about to cut 20% of its border patrol manpower. The cuts, meant to close a $250 million shortfall due to “sequestration,” forced Border Patrol brass to make some tough choices. One option included putting agents on furlough two days a month — but agency administrators instead opted to eliminate overtime, according to Shawn Moran, vice president of the National Border Patrol Council. “The border is not secure. It’s safer than it has been in decades but it is by no means secure and it won’t be if you cut 20 percent of your workforce,” Moran said Wednesday. While the overtime cuts could be seen as inconsequential, agents insisted it’s actually quite a blow. In many border areas, agents don’t actually live in the immediate border region. They drive from home to headquarters, which in Tucson is more than an hour from the border, about the same as in San Diego. For agents in Casa Grande, Arizona, the commute is closer to 2 hours. 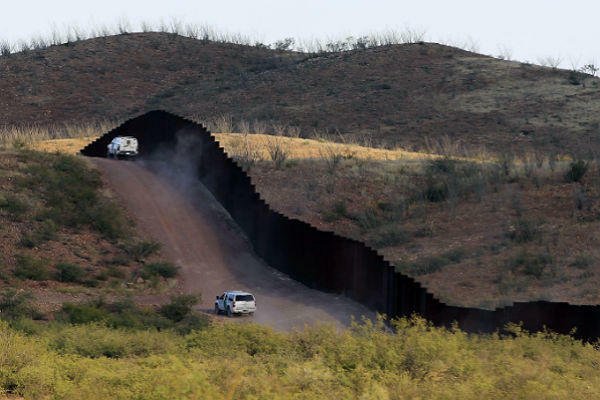 For the agency, the drive time is treated as overtime, thus allowing line agents to put in a full eight-hour shift actually patrolling the border. However, effective April 7, agents will be forced to leave the border after a five- or six-hour shift in order to make it back under the mandated eight hours. Agents said the down side will be that areas of the border will be left unprotected for hours at a time. TAKE THAT AMERICA! How dare you allow congress to cut my spending! This folks is just another example of the Obama administration taking a 2% cut in federal spending and making sure it hurts. Remember even with the sequester these departments are spending more money this year than they did last. Texas Republican Sen. John Cornyn blasted the decision to cut border agents’ overtime pay, saying it’s the latest example of President Obama putting national security at risk. Unlike programs such as healthcare and college loans, protecting the Homeland IS a responsibility of the federal government. At times I wonder if our President understands that duty.